What is the difference between whey protein isolate ( WPI ) & Whey Protein Concentrate ( WPC ) ? WPI indicates that the product is isolated to 90% and it has hardly any carbs, fats or lactose. So, it will be beneficial for people with light stomachs. WPC is isolated to 80% leaving slightly higher fats and carbohydrates. WPC is still a great quality product, which offers the best bang for your buck. Why your products are so cheaper than others? We don’t have any middleman. We produce our supplements in-house and dispatch directly to our customers. Is WPI & WPC safe for breastfeeding or pregnant woman? Yes, our products are safe to be consumed during pregnancy and breastfeeding. Our WPI and WPC don’t contain any ingredients that are not suitable for pregnant or breastfeeding moms. As our products go through a rigorous quality assurance process by third-party Australian government laboratories, our products are safe to use. However, we recommend seeking advice from a doctor before consuming our any of supplements. How should I consume Super Greens GT? Super Greens GT is our super formulation of high purity green tea extract blended into a refreshing natural mint flavor. You can consume it with water or add it to yogurt dishes or smoothies. How does Casein protein work? Casein contains 80% protein with hardly any fats & carbohydrates. It digests slowly while drip feeding protein and amino acids to your muscles, and hence we call it a night time protein. Can I order a separate flavor for each kilo of protein? Yes, protein powder is available in a pack of 1 KG with its own scoop. Just select the flavor for every KG that you require from the drop-down list. A flavor selection is missing, can I still purchase it? Unfortunately, that flavor is out of stock and can’t be purchased. Please contact us and we can update you on that flavors progress. Do you offer free sample? Yes, you can order a free sample from us before placing an order. You can visit our site and click on the free sample page and select a sample. Samples may take between 3 – 12 days to arrive. Can I purchase BlackBelt protein in shops? Our products are only available on our website. This allows us to provide the best possible prices to our customers. Make sure you’ve entered the correct email address when placing your order. You will receive an automated email with a link to your tracking details, once your order is dispatched. It may take a few hours for your tracking to update. Yes, you can cancel your order unless it is dispatched. You can notify us if you need to cancel an order. If it has been dispatched, please return the goods to us and we can give you a full refund. For purchasing more than 300kg, please contact us at sales@blackbeltprotein.com.au. How do I pay for a Black Belt Protein purchase? You can choose to purchase your product using Credit cards/Debit cards or Internet Banking. These options are available at the checkout. Do I have to pay any hidden charges while making a purchase on BlackBelt Protein? There will be no hidden charges when you make a purchase on BlackBelt Protein. The price that is listed for all the items is exactly what you pay. Does the site save my credit card details? BlackBelt Protein does not store any credit card details. You have to enter your credit card details only once on our site. I can't check out, there is an error appearing ? Make sure the information passed on to payment gateway is accurate and check your Internet connection. If the error still appears, clear your internet history and try again. If the issue still persists, please call us on 07 5578 2933. Is purchasing on your site safe? Black Belt Protein uses highest security measures to ensure the safety of all personal and transaction details. We do not have any access to your credit card information. How do you enforce security on your site? We confirm and verify the customer before sending bulk orders, and some information such as your IP address will be saved by our site so that we can trace you back to your location at the time of the transaction. Do you ship your product to International locations? Yes, we ship to 190 countries with DHL. How long will it take to dispatch an ordered item? The majority of our orders are dispatched everyday at AEST 4pm. If the order misses the dispatch time, it will be dispatched the following morning at AEST 10am. We will provide a refund if for any reason you need to return your products. Just make sure 80% of the product remains, we ask you cover the postage back to our location. What should I do if I get a damaged item? 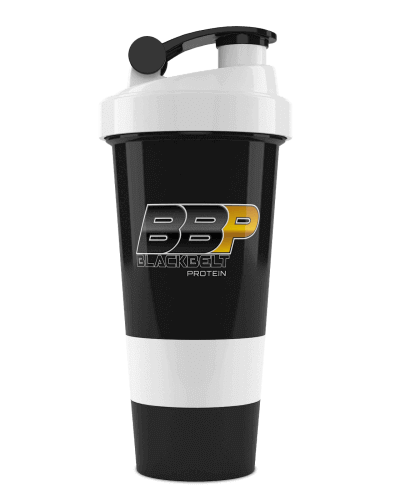 If an item is found damaged, please take a picture of the damage good and send it to sales@blackbeltprotein.com.au as soon as possible.